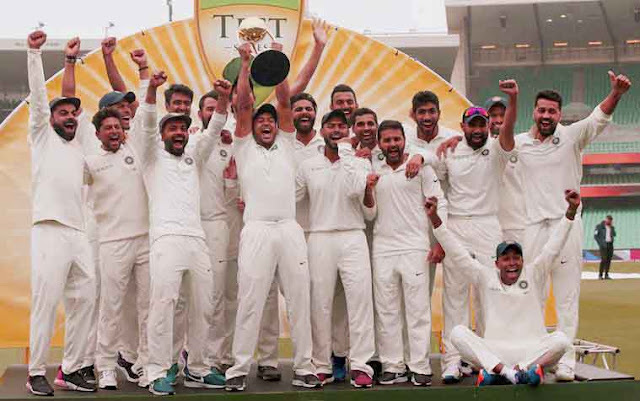 India ended a 71-year-long wait for a Test series victory in Australia, with their 2-1 triumph finally being confirmed after the rain-affected fourth and final Test ended in a draw at the Sydney Cricket Ground (SCG) early on Monday afternoon. 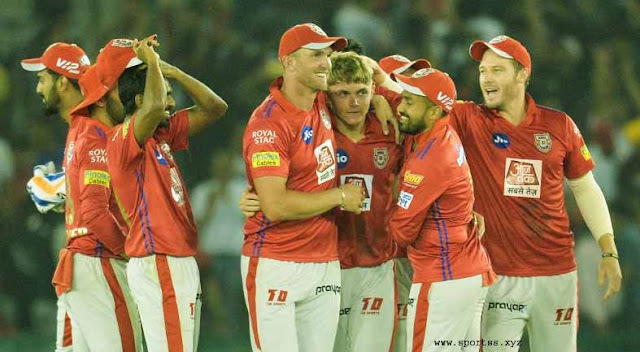 The finale may have ultimately turned out to be a damp squib but Virat Kohli`s side utterly dominated the action to deservedly become the first side from the Asian sub-continent to take the honours Down Under. Wins in the first Test in Adelaide and third in Melbourne ensured they could not lose the series and their batsmen, led by a 193-run knock from Cheteshwar Pujara, batted Australia out of the fourth match with a daunting 622-7 declared total in the first innings. That all but destroyed Australia's hopes of a face-saving victory and India`s spinners then got to work to drive their side the advantage in the field against an Australia side that failed to muster a single century over the series. The hosts were duly dismissed for 300 and Kohli did not hesitate to go for the jugular by enforcing the follow-on -- the first time in 30 years Australia had suffered such ignominy on home soil. For some Australians, the series will always carry asterisk given their two best batsmen, Steve Smith and David Warner, were unavailable because of bans they received for the ball-tampering scandal in South Africa last year. Tim Paine`s side was unable to paper over the cracks left by their absence, and even the vaunted pace attack of Josh Hazlewood, Mitchell Starc and Pat Cummins failed to fire except for spells in the victory in Perth. India`s trio of seamers Ishant Sharma, Mohammed Shami and Jasprit Bumrah, by contrast, was highly disciplined and executed their plans to perfection to exploit the weaknesses in the Australian batting. With the bat, the tourists managed to score five centuries over the four matches with Man of the Series Pujara recording three of them, aggregating 521 runs from seven innings at an average of 74.42. There was a century for captain Kohli, of course, and one in Sydney for the younger generation through the irrepressible wicketkeeper-batsman Rishabh Pant. India is yet to win a series in South Africa but finally breaking through in Australia will do much to burnish the reputation of Kohli and a team already ranked number one in the world in the longest format of the game.